In early 2010 there were the first signs of seismic activity under the glacier in the south of Iceland. Propably everyone in this world know the consequences of the eruption of the Eyjafjallajökull volcano. 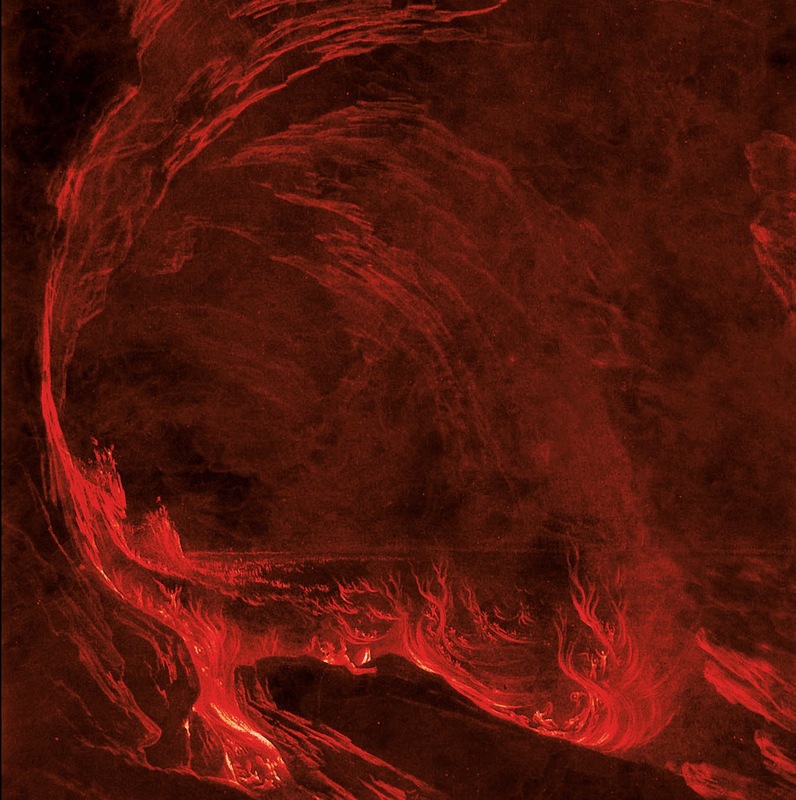 Exactly five years later on the Icelandic black metal scene there was released the album „Söngvar elds og óreiðu” by MISÞYRMING. The coincidence? A musician introduced himself as D. G. he reveals some secrets about his music from the far north, as well as Iceland itself. I invite to interview! Hello guys. First of all I congratulate such a great debut album. I must say that the album strongly impressed me. Excellent work! Before we start talking about Misþyrming and „Söngvar elds og óreiðu” I would like to ask you about a few other things. How you recall your childhood? I’m interested in what was your earliest musical memories. What albums made the biggest impression on you as a teenager? What inspired you to move into music? From age six to twelve, my mother had me attend piano classes. Those classes helped my musical sense grow, and still today I use what I learned from that time. At age eight, a friend of mine gave me Rammstein’s Mutter, after they played a show here in Iceland in 2001, which I sadly missed. I got hooked on Mutter right away. I became a huge Rammstein fan and bought every release I got my hands over. I still love their music today. Their outstanding live performance has been a great inspiration to me and is the reason why I started playing guitar and wanted to become a musician when I was a child. Other bands also inspired me, but none in the way those German hunks did. Misþyrming started as a solo project in 2013 and you’ve said the band was your first serious and mature project as a developing musician but I know you had a lot of experience in the music scene much earlier. What were your other projects or bands? What is learned from them? My first band was called Abacination, formed in 2010. We started as a death metal band but as I became more fond of the black metal genre I begun to write more dark and aggressive material which didn’t suit the band. We ended up quitting in 2013 because of aesthetic differences. In 2012 I formed 0 with S.S. (Logn and World Narcosis) and Tómas, who I only knew through his band Carpe Noctem at the time. 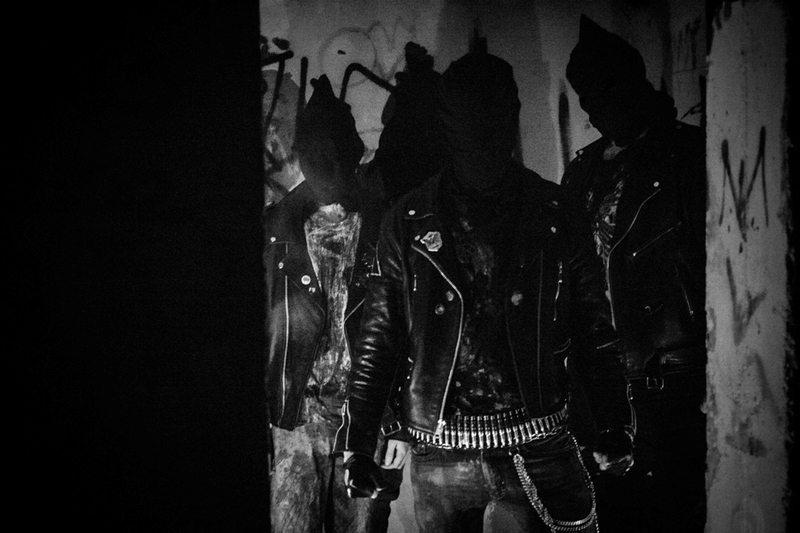 We used to hang a lot together and listen to black metal such as Silencer and Peste Noire. Making depressive black metal was something that we were eager to do. Both Abacination and 0 got me into the black metal scene in Iceland and the experience of performing live and recording was definitely good for the future projects. I know you’ve heard this question hundreds of times but could you tell a little history of Misþyrming? Please tell us how did it start and what was the main idea behind forming the band? When Abacination decided to call it the quits I had written the first three songs on Söngvar elds og óreiðu. I really believed in the material and wanted to keep making this kind of music. During the following months I wrote the rest of the album, made demos of the songs and created the ambient songs. I was studying musical/recording engineering in a musical school in Kópavogur (a part of the Reykjavík capital area) where I intended to make the whole album by myself with a drum machine. It didn’t take long time for me to realize that the album wouldn’t be as good as it could be if I didn’t get a real drummer for the studio so I asked Tómas to introduce me to his Carpe Noctem’s bandmate H.R.H.. I showed the demos to H.R.H. and he agreed to record them for the album. We rehearsed the songs and recorded the drums in the beginning of January 2014. During the following weeks I spent many hours, days, alone in the studio recording everything else, guitars, bass, synths and vocals. When we recorded the album we realized that this could be something more than just a studio project, so we got Tómas to do live guitars for us. We had a bass player also but he didn’t really fit the band so half a year later we got Gústaf to do bass. 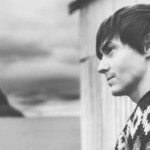 He is a bandmate of ours in Naðra so he was around at the time, and fit in perfectly. You’ve said “To me, music is a kind of meditation, and black metal is a powerful one that I’ve been inspired by a lot through the times. I don’t create Misþyrming’s music for anyone other than myself, but inspiring other people is still something that I can enjoy”. Could you expand this thought? It explains itself pretty well. In the past Iceland has been dominated by the Nordic pagan religion. What religion you identify with? In your music is some ideology? I don’t associate with any religion. Is black metal is a form so flexible that it can be stretched indefinitely? Do you think that today’s black metal is just wild, aggressive and raw like many years ago when it was born? Does it still continues to impress? Black metal is still evolving, and yes it is flexible. But there are boundaries. In the early days those acts were all about being repulsive against all. They represented true misanthropy. That is not the case with many bands today. The occult orthodox scene is an example of the first ones to break this up. Nowadays it’s mostly about the music. What’s been preserved the most is the sound. Many bands try to keep honoring the direction from the early days but the sad thing is that many fail to be creative and end up just repeating what’s already been done. What is the most important to you as a songwriter and musician? I want to enjoy the magic of music. Performing and writing music is so intimate. Nothing in this world is as sacred to me. Does your music reflect who you are? In a way, it reflects a part of me. My music is very personal to me. One more thing – Icelandic word misþyrming means abuse in English? Yes, that is the simple way to explain it. But the complex way to explain it is that it is the opposite of showing mercy, like torture. Mis means “mal” and þyrming means “showing mercy”. What are the origins of the band name? Who invented it and why did you choose this name? Misþyrming is all about the music, so the name aims to describe the band, not the opposite. Is your music inspired by Iceland in any way? Many things. Albums that I listen to at home are the most inspiration but going to live shows, whatever it is, whether it’s metal or not is inspiring at times. Was there much difference between how the songs were first conceived and their final forms? The biggest difference is H.R.H.’s drumming. He put an important element of a living feel to the songs. Were there any difficulties with incarnating your creative ideas during the creation of this album? Did you listen to any special bands or artists at the time when you prepare to record an album? I did actually listen to Funeral Mist’s Maranatha as a comparison for the mix. The picture on album cover is awesome and very distinctive and suggestive. It’s an amazing and beautiful art. Who is the author of this picture and how does it connect with the music? What’s the story behind that? The piece is Satan Arousing the Fallen Angels by John Martin. 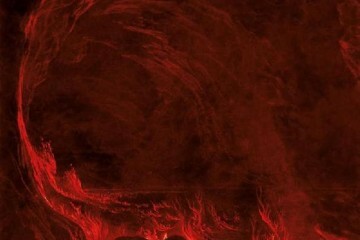 I thought that the massive cave represented the music on the album in a way, but Satan didn’t really have anything to do with that so I removed him, and added the red, fire-ish layer onto it. The lyrics on “Söngvar elds og óreiðu” album are in Icelandic. This language sounds very mysterious and extremely. What does it mean to you to sing in your native tongue? Why not in English for example? If I’d sing in English I wouldn’t feel like I was truly expressing myself, so singing in Icelandic is important to me. The lyrics to the song “Friðþæging blýþungra hjartna (Ljóð eftir Kristófer)” is a poem wrote by Kristófer, right? Please tell more about it. Kristófer is a dear friend of mine. He is a great poet, and he is known for his work as Vansköpun and the depressive synth band aska, both amazing projects. He offered me to write these lyrics when I was creating the album and I didn’t hesitate to accept. It was an honor. “Söngvar elds og óreiðu” is a concept album? What’s the main concept of the album? The title says it all. These are songs of fire and chaos. 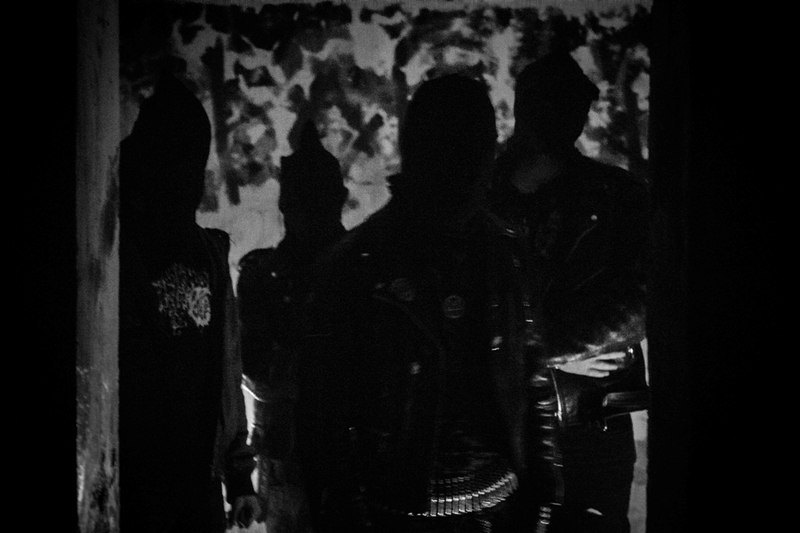 “Söngvar elds og óreiðu” have the solid foundations of great black metal. The music is raw, cold and aggressive but it is more effective than most others black metal albums in the modern scene. What would you say are the elements that separate your band from the rest of black metal? What is so special in your music? What does make your music different from the rest? It seems to me that the last song of the album is of particular importance. “Stjörnuþoka” it’s like the calm after the storm, when the dust settles and we can see how much damage has earlier storm. I feel ominous emptiness and nothingness, and it fills me with fear and anxiety. What is the significance of this composition for the entire album? I couldn’t describe it better than you just did! It’s definitely an eerie calm after the storm. The idea was to have the album in two parts, side A and side B, both having a conclusion, an outro. In my opinion you perfect show how to create beautifully dissonant and pounding black metal with layers of swirling dark ambient and dirty melody as the driving current beneath the surface. The album is full to the brim with interesting crafted songs with a keen eye for detail, structure and atmosphere. Every song has lots of strong moments. There are even some cool melodies floating around the songs. What would you say are the inspirations behind the band’s music? What were the influences for that? Music without atmosphere is not interesting music to me. I’ve always thought that “atmospheric black metal” should not be called a sub-genre of black metal because black metal as a genre isn’t what it is unless it’s atmospheric. It’s all about atmosphere! At least that’s my opinion. When an atmosphere in a song catches my attention, I seize the moment, and try to create my own atmosphere from that inspiration. Lively melodies are also important. I used to be in a choir where I got a lot of inspiration for all sorts of musical craftsmanship. Different melodies bundled together into various chords and such inspired me to pay extra attention to the connection between rhythm and lead parts. What I like the most about the album is the combination of the most brutal moments and the eerie atmospheres featured on the tracks creates such a dark sound that is hypnotizingly catchy. The album transmit a spiritual aura too. It’s a very Icelandic thing, isn’t it? You need contrast to impress. You wouldn’t know what’s dark unless you’d know light, and you wouldn’t know noise unless you’d have silence for comparison. I wouldn’t call it an Icelandic thing, although Wormlust and Svartidauði have done the spiritual aura transmission you mentioned, on their releases. What surprised you the success and interest in your band? The fact that so quickly have become important thing? We believed in the album when we made it. But this massive reception has been far beyond what anyone could have expected. The hard work we’ve put into our work, including both the album and our live performances has paid back. We’re honored. What has changed in your life since the release of the album? Travelling for free to do live shows and festival appearances is the biggest change. It’s fun. We’ve met a few of our favorite artists along the way and that’s just fantastic. Being respected as a musician has been rewarding also. One thing puzzles me. I mean Roadburn’s Artist in Residence in 2016. It will be Misþyrming. I admit that it’s surprising because Roadburn’s Artist in Residence is usually band or musician, one who’s spent decades honing their skills and cultivating a worldwide reputation. You are very young band so how you did it? You will play three shows at Roadburn. Please tell more about this. This was Roadburn’s decision. Their main host, Walter, attended both of our shows at last summers Eistnaflug festival (one of them being the Úlfsmessa), and was instantly fascinated by our performance. He got the idea to have us as Artist in Residence since he had already seen that we had more than a simple live show to offer. We had a meeting together where we discussed the possibilities and ended up deciding to do the three nights: Algleymi, an evening of all-new material, Úlfsmessa, where we perform our ritual with our good friends NYIÞ, Naðra and Grafir, and finally, Söngvar elds og óreiðu performed in it’s entirety. What are your other plans for the near future? Are you working on a follow up album yet? What can we expect sonically from your next album? How it differs from debut? Any details you can give me? We’ve got a few festival appearances and a tour planned for the next months. I am finishing writing the second album and I’m really happy with what I’ve got so far. It’ll be different from Söngvar… but don’t worry, that’s a good thing. We’ll probably go to the studio in the spring of 2016, so it’ll be a 2017 release, most likely. You’ve said: ” I’d rather kill the project than make music for the mass productions’ sake”. What exactly do you mean? I want to make music on the same terms as I’ve always done. For myself. Doing a record deal of something like 4 albums or so, makes you obliged to make music for the record company, so when you’re making your third album on that contract, will you still be making it for yourself, from your heart? If I ever feel like I’m making music to please someone else, I will stop. It is very difficult to buy your album on physical media. Why? It can be hard for a label to estimate how many copies should be produced of a release from a new band. At the time the album was coming out, doing a batch of 500 LPs seemed reasonable for us and Terratur Possessions and Fallen Empire and the same was with the second pressing. It’s not that we want the discogs vultures to profit of the limitation so when the second pressing sold out, we decided to do a third pressing. The CD version on Terratur Possessions and the cassette version on Vánagandr will also see a repressing soon. On the other hand you put your music on Bandcamp page for “name your price”. I asked why again? The thing that has happened since the internet is that you can access basically any music you want for “free” on the internet. We all know that this cannot be stopped, and maybe it shouldn’t. I think that the internet is a great way to get introduced to all sorts of music in many ways, whether it’s streaming or downloading. The thing about giving your music away for free with the option to pay for it is a way for people to get the music directly from the artist, and not from some questionable source. We don’t ask for anything in return but what we get is that more people can access the music, which leads to more people talking about it, spreading it by word of mouth. Also, there are a lot of honest people that want to pay and they choose how much they want to pay, so we still get some money out of it. Let’s talk for a moment about Iceland. Do you care about the current geopolitical situation in Iceland? I don’t believe in my vote because the parliament is always corrupted anyways. Democracy is not as it should be. After voting, the right-winged parties corrupt the results by forming a majority with other right-winged parties. People are gullible for propaganda and then they always realize afterwards how stupid they were. How much has changed Iceland and life in Iceland after the economic crisis? The space between the rich and the poor has expanded, which is sad. The rich are in charge, and they don’t care at all. They’re privatizing everything which is not a problem if you’re rich. But when people can’t see a doctor because of their financial problems, you know something’s not right. The crisis had an impact on music and artists? A philosopher once said that during economical crisis, artists bloom. Iceland has proven this, and not only the black metal acts. What is it about Iceland that spawns such prolific and authentic music regardless of genre? It must be all the fish we eat, and the fact that we live in show houses. Is it easy to be an artist in Iceland today? How does the life of the artist in Iceland? Do the government care at all about music and musicians? How it looks from your point of view? The government believes in money, so bands that make a lot of money get good support from them. That does not apply to extreme arts, since they don’t make much money, if any at all. How’s the metal scene in Iceland? The metal scene in Iceland is pretty diverse. We have this big annual metal festival called Eistnaflug, where the biggest bands in Iceland perform, as well as many foreign bands. The line-up at this festival is often a good example of this diversity. We have some death metal bands, some heavy metal bands and more. I think that there’s really no sub-scene going on except the black metal scene and then there are the annual headliners of Eistnaflug, including e.g. HAM and Sólstafir. How do you find yourself on the contemporary scene in Iceland? It hasn’t been until recently that the Icelandic media has begun to realize how big the black metal scene in Iceland is. For example, Iceland’s biggest music festival, Iceland Airwaves that has always supported all genres of any kinds, have included Svartidauði in their line-up several times. This year, they added Misþyrming and Sinmara also. We appreciate the recognition here in Iceland but performing in other countries has proven to us that there are bigger groups of dedicated fans out on the continent than here in Iceland. Do you feel strongly tied to other bands in Iceland, or do you feel that Misþyrming is, aesthetically speaking, much different? Our black metal scene is strong. Misþyrming is just one of many great band within this scene. We’ve been good friends with those bands, naming Svartidauði, Sinmara, Abominor, Mannveira, Árstíðir Lífsins, Draugsól and our other projects such as Naðra, 0, Nornahetta, Carpe Noctem, Úrhrak and more. We do shows together and I record or produce a lot of these bands so there is a strong bond. Do you know something about Polish metal scene? Do you know any Polish bands? There are a lot of great things going on in Poland. The scene there is extremely interesting. Some of my favorite bands from Poland are Outre, Cultes des Ghoules, Mgła, and Behemoth. Those bands have a good recognition here in Iceland. Keep an eye out for Vánagandr, Studio Emissary and Oration. Thank you very much for an interview. You can downlowad the album on bandcamp.